Come In And Treat Yourself! Room to dine and unwind! 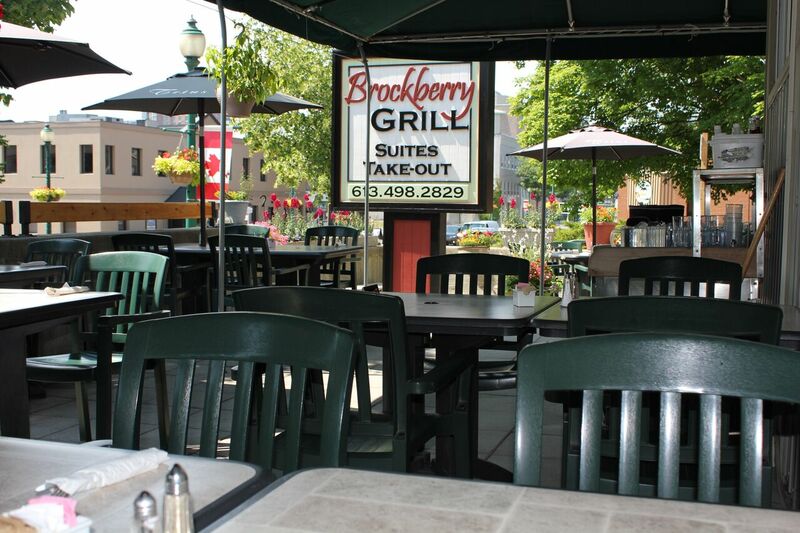 Brockberry’s dining room areas are available for private groups of 15 or more. The Brock and Fulford Heritage rooms are the perfect place to relax and enjoy your special celebrations amongst friends. Groups of up to 38 people can be seated. Bus tours and groups are most welcome, centrally located we are convenient all sizes! Arrangements can be made to have large motor coaches bring their groups right to our front door on King Street East. Wheelchair access is available through our back parking lot. The Seaway Sunroom offers walls of windows for light and airiness. This room can accommodate groups of up to 36 people, semi privately. The seasonal patio with a wonderful view of downtown is open with full service, weather permitting. Reservations are required for all group bookings. Please call us 613.498.2829, or book directly here on line. “Come Treat Yourself”! 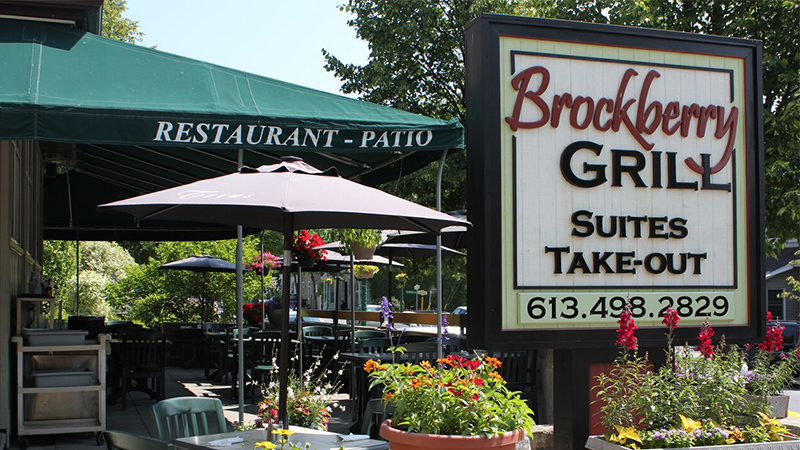 Brockberry is committed to delicious food and excellent hospitality. 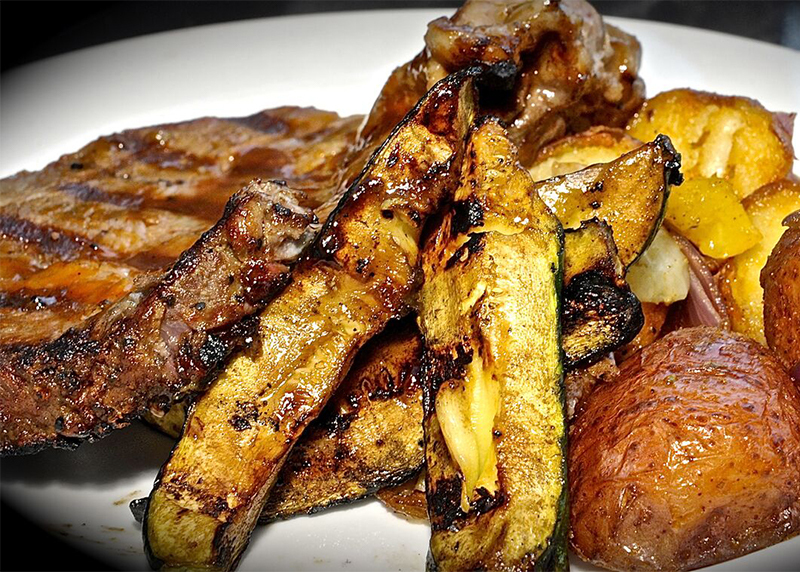 We offer pre-set and custom menus for groups of 15 or more. 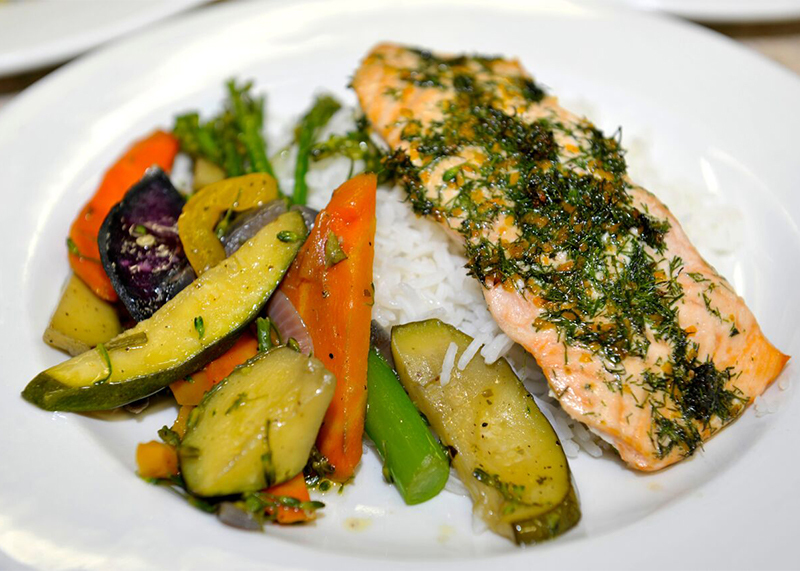 Most dietary requirements including vegetarian, vegan and gluten-free options are also available. We are fully licensed and offer alcoholic beverages, wine and beer. Weekly features in our Food Shop are also available with counter service. From Hwy 401 take the Stewart Blvd Exit 696. Head south on Steward Blvd towards the river. Just past Court House Square, turn left (east) onto King St. (Hwy 2). Continue for several blocks, past the Wedgewood Retirement Home on your right (south). We are located on the left at 64 King St. E.
Delicious food and desserts, lots of choices, wonderful service! Definitely going back! 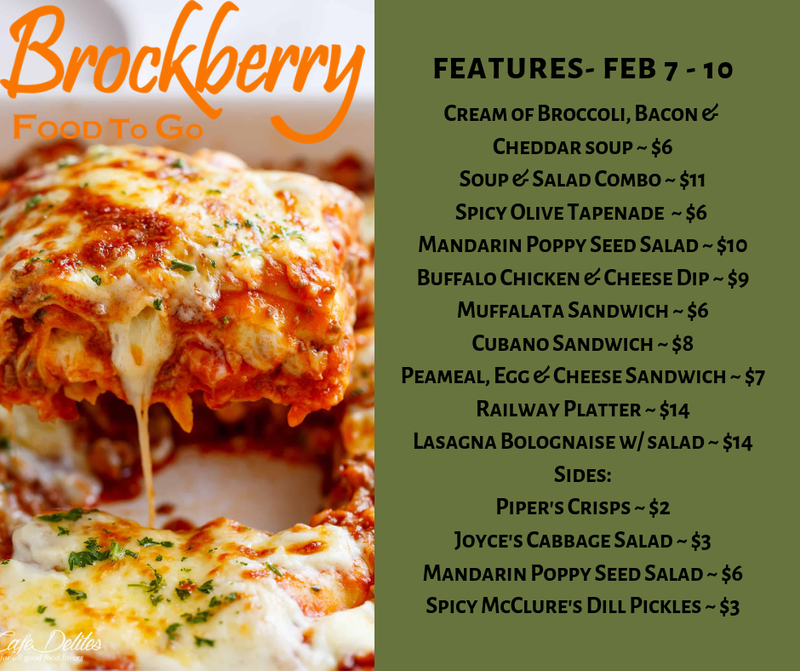 I have enjoyed every meal I have had at the Brockberry Cafe. 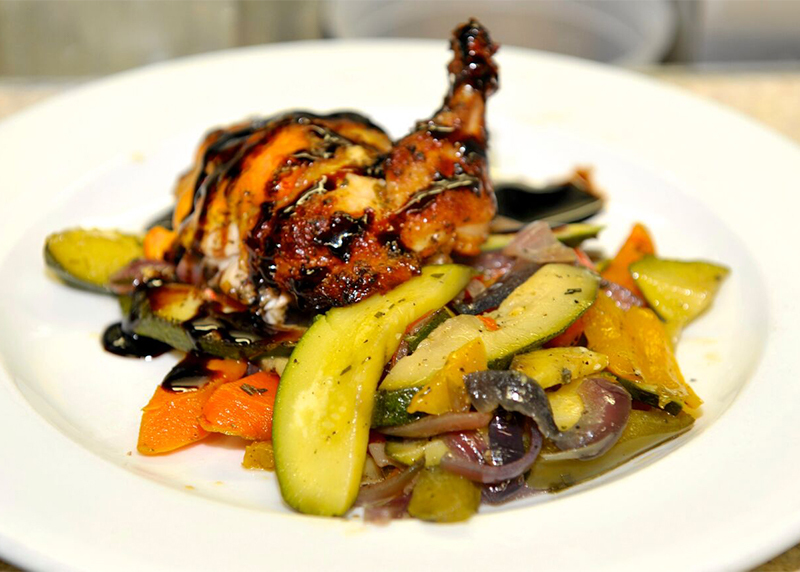 Their menu is inventive, their dishes fresh and crisp and absolutely tasty. Nothing bland or forgettable. Great BBQ and wings. Their wicked fries are the best I have had. It was so good that I ordered another one. Please note that we are currently closed on Monday and Tuesday, except for bookings of 15 or more people. If you wish to book a group of 15 or more, please contact us by phone or e-mail.